Louis van Gaal’s side negotiate potential banana skin against determined League One opponents. 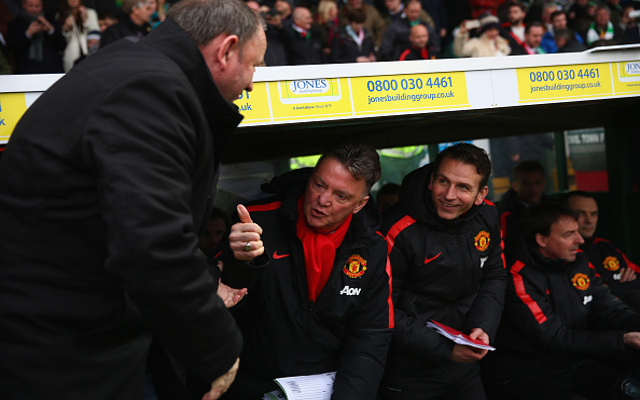 Premier League side Man United made hard work of their trip to Huish Park. An end to end first half was most notable for this horrible clash of heads between Paddy McNair and Kieffer Moore. Ander Herrera swept Man United into the lead with a fine long range effort on 64 minutes. Late on sub Angel di Maria showed his class as he latched on to a long ball and sped through the Yeovil defence before dinking the ball over the line to clinch the win.